2. Bent Out Of Shape - Ovi 3'17''-Music: Ovi & Siemen M. Erikrud Daworks Music Publishing LTD.&Lyrics: Bjorn Bergene Daworks Music Publishing LTD.
6. Vagabond - Ovi 3'51''-Music: Ovi&Lyrics: Even Olsen Daworks Music Publishing LTD.
8. Seven Seconds - Ovi 3'21''-Music: Simone & Siemen Eriksrud&Lyrics: Simone Daworks Music Publishing LTD.
11. 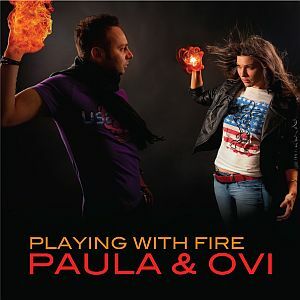 Playing With Fire (Wind & Fire Remix) 3'09'' Remixed by: Daniel Pirici, Alex Cotoi.